More than 45 years have passed since my brother gave his life while serving the nation. This week I stood before the national monument honoring the brother I never really knew and the 58,273 other men and women who lost their lives in Vietnam. While the memorial is a massive, granite structure, it isn’t immediately imposing. Visitors follow sidewalks away from the bustle of traffic to a more isolated place within the National Mall. Panels of black granite, each etched with names, are placed into the hillside. At the edges, the panels are smaller. But, moving toward the center, the panels tower above, effectively blocking out the rest of the world and reflecting only what is within the memorial at that moment. You read the names. You see yourself and those around you. Nothing else exists. 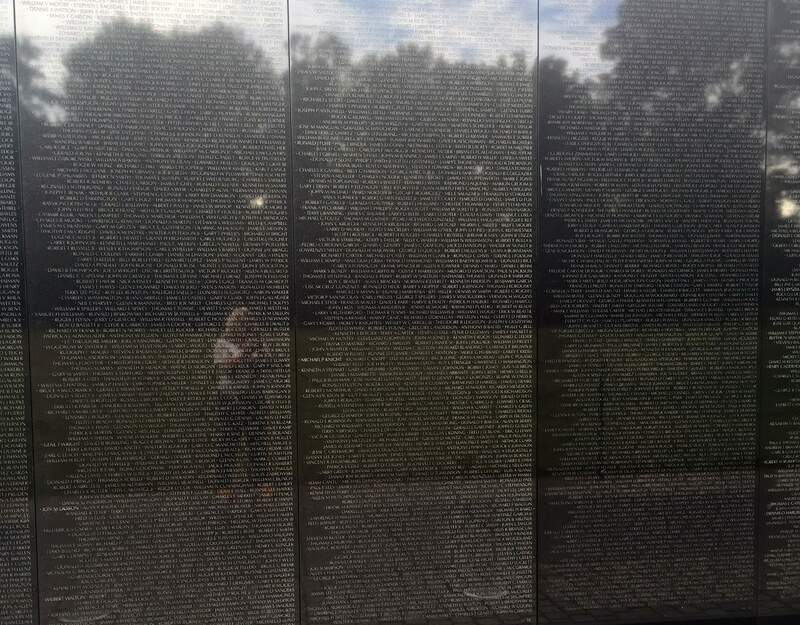 A volunteer, a Vietnam veteran, spoke to visitors about the Wall, noting the late addition of two names and pointing out the location of eight women’s names. A few visitors conversed in hushed tones, nearly whispering. Many, like me, stood before a panel, trying to locate a specific name through watery eyes. In my case, I don’t remember the person the name represents. I was too young to store those memories, a reality that felt incredibly oppressive standing beside the granite. My memories begin after his death, are wrapped in family members’ grief. Glancing right and left, trying to absorb all the names, I tried to calculate how many others grew up feeling separated from these deaths and this war and also never able to move beyond them. Just when it felt I would be swallowed by the past, forever lost in the reflection of the granite, my feet moved and the panels began to shrink, allowing the outside world to penetrate once again. Sunshine. A breeze. Walkers. Food trucks. Traffic. Laughter. I’m reminded that just weeks ago I stood in Coweta, Okla. Spearheaded by a man who served in Vietnam with my brother and eight other local, fallen soldiers, a park was built on the spot where my grandmother once lived. 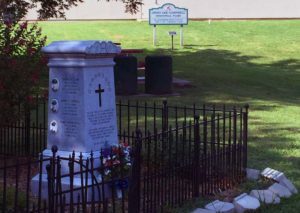 The park bears my brother’s name, but stands in remembrance and honor of the group of friends who graduated high school together and lost their lives during the Vietnam War. It is a constant grief for this tiny town, which lost more soldiers in Vietnam per capita than any other across the nation. Yet at this memorial children laugh and play in the splash pad, or climb on playground equipment. Parents sit in a gazebo and read or visit while casting occasional glances toward their charges. 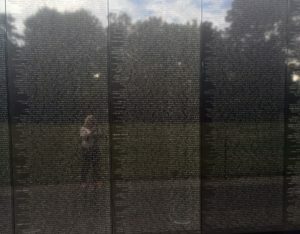 I stand in awe of the National Vietnam Memorial, which I’d describe as beautifully horrible. I’m humbled and overwhelmed by it, and extremely grateful that my brother and his friends will forever be such a public part of the national conversation. That said, the vast, black walls of the memorial, like a funeral procession, mirror only the past. On Feb. 11, 1970, my brother, Jimmy Lee Campbell, was blown apart by a land mine in Quang Tin, South Vietnam. That same day, 31 years later, my daughter, Samantha, was born. She stopped abruptly as we entered the park in Coweta, hundreds of baby grasshoppers leaping around her feet. She tentatively stepped again, laughing as the tiny insects danced some more. It is important for us to remember, and Samantha always will. She’ll remember the uncle who sacrificed and the family who mourned. 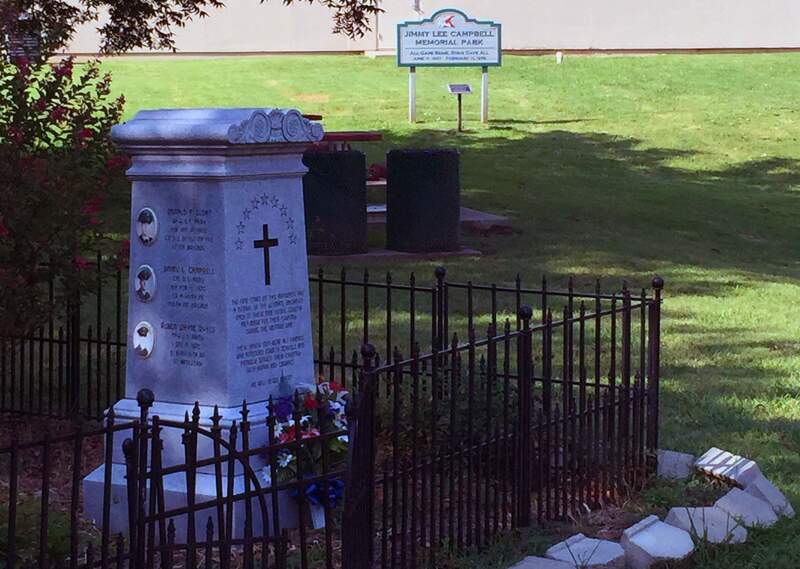 She’ll remember the town that honored its veterans by creating a space that celebrates life. Even as I stand, paralyzed in a reflection fragmented by thousands of names, she’ll remember the grasshoppers and the simple pleasure of taking one more step forward.